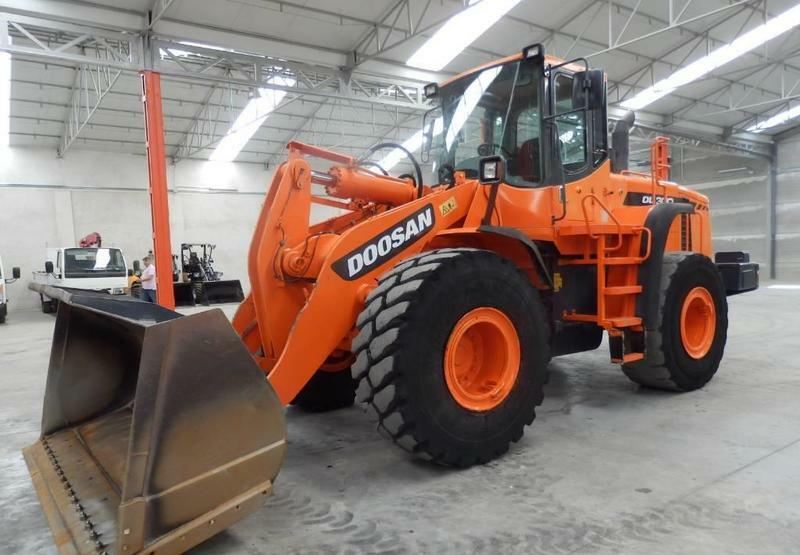 Doosan DL 300 wheel loader, 2010, 52000 euro for sale by Alquimecanica S. L.
The current price is 52000 Euro. The list of DOOSAN wheel loader offered for sale in our catalog is constantly increased. The gross weight is 181 kg. Engine details/gearing and fuel type: 230 hp, engine: Doosan DL08. Chassis configuration: front tires: 90 %, rear tires: 20 %. Max. lifting capacity: 16519 kg.